As a result of the research I’m doing for my novel set in the NC Outer Banks and the Atlantic Coast in 1799, I have lots of interesting trivia about pirates I’d like to share. One practice is called “careening,” turning a wooden ship on its side to expose the hull. It was the most dangerous time for pirates as it made them vulnerable to attack. 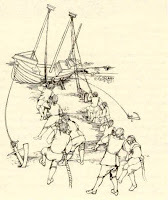 Ships’ hulls would become thick with grasses, seaweed, worms, mold, and organisms such as barnacles making the ships difficult to steer. Since speed was critical to pirates, it was necessary for the hulls to be scraped every two to three months. Careening also allowed for repairs of damage caused by dry rot or cannon shot and for coating the exterior with a layer of sulfur, tar and tallow to reduce leakage. 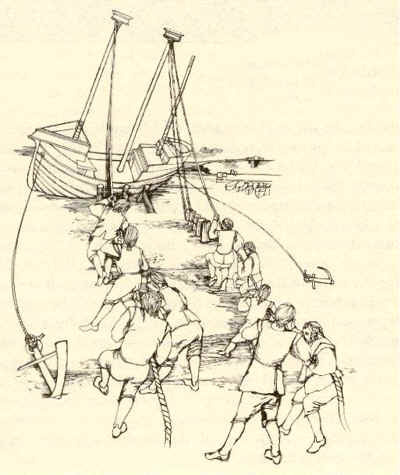 Ships would be taken to a shallow area and the masts pulled to the ground by securing the top halyard to an object such as a tree. 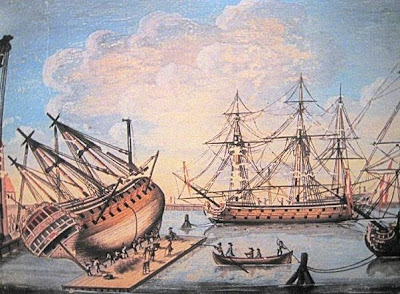 The practice of heeling over a ship in deep waters by shifting ballast or cannon to one side was called “Parliamentary heeling.” It was a much faster way of cleaning the hull. In 1782, the HMS Royal George was lost while undergoing this procedure. Susan F. Craft is the author of The Chamomile, an inspirational Revolutionary War romantic suspense set in South Carolina. Her work in progress is the third book in The Chamomile trilogy. I had no idea! Thanks for the very interesting post. I never thought about boats collecting that stuff on their hulls while in the ocean. Wonder what's the most unusual thing they've found attached to the bottom of their ships? Your post was so very interesting. My family and I vacationed in the Outer Banks a few years ago and found it to be a lovely place. The lighthouses and the rescue station..I can certainly see where a writer could go there and the creative juices would start flowing. Thank you! Fascinating! I never thought about the hull needing to be scraped! I wonder how long this process took. There is so much history in the Outer Banks; thank you for sharing these tidbits! What an undertaking - looks dangerous also! 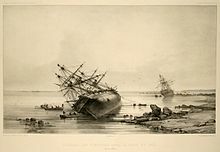 Wooden ships certainly had their disadvantages, didn't they?